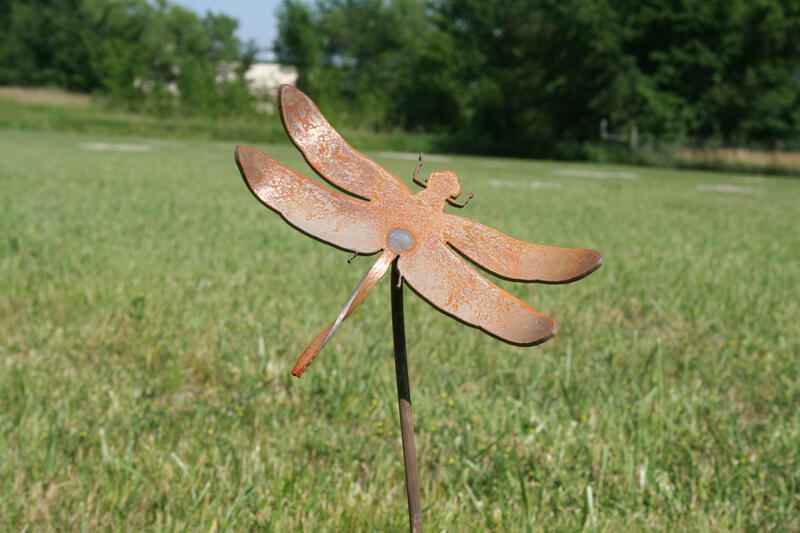 Rusty Dragonfly Garden Stake is an adorable addition to your yard or patio garden! 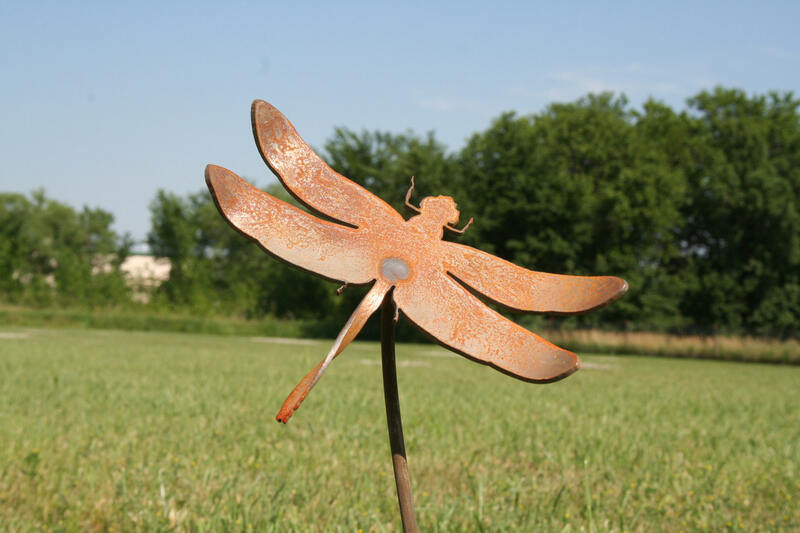 The dragonfly is cut from thick steel and welded securely onto a 1/4" stake. 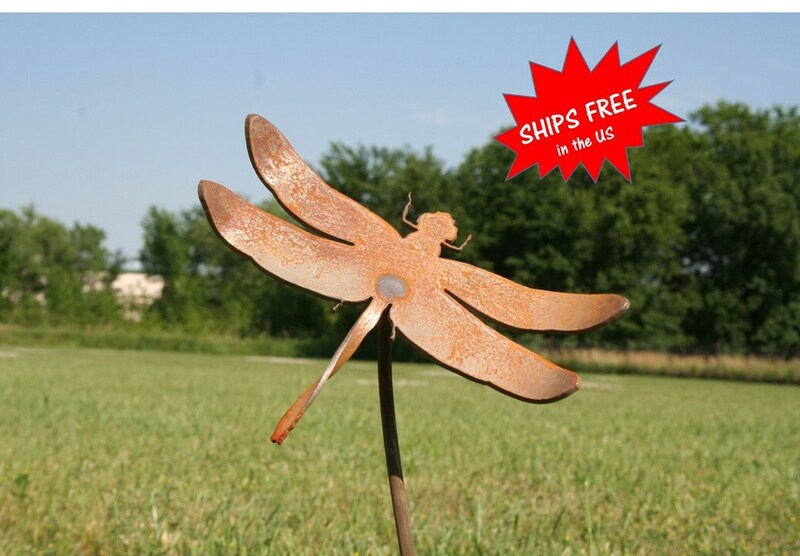 These sturdy stakes are approximately 20" tall overall with an 8" wide dragonfly. NEW for 2017! The dragonfly tail is twisted and wings are curled up! We love the new look! The stake is pre-soaked to begin the rusting process. The beautiful patina will only improve with time! 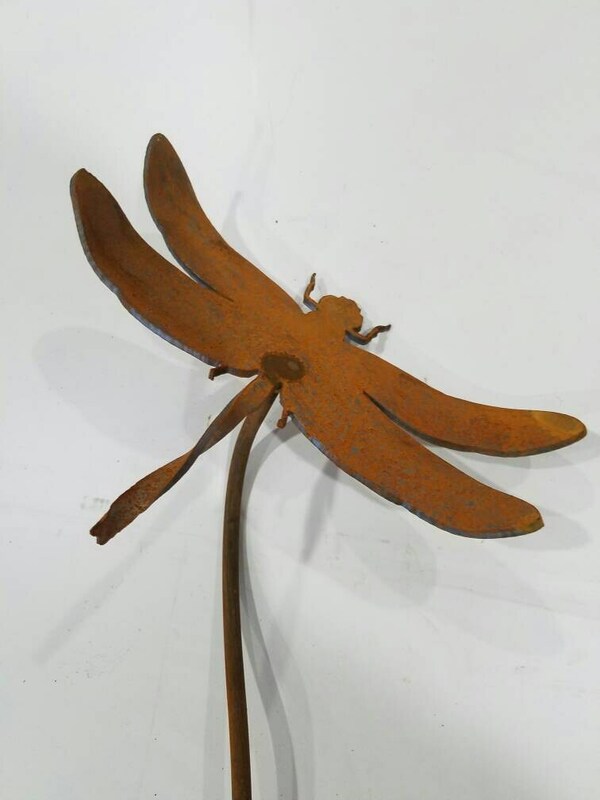 The tail of the dragonfly has been twisted and wings are curled up by hand. 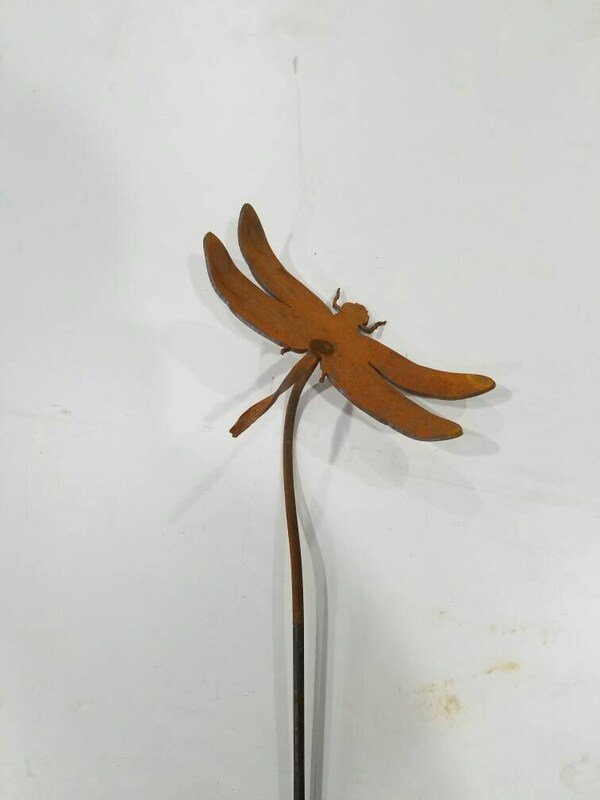 Choose from a single dragonfly or a set of 3. 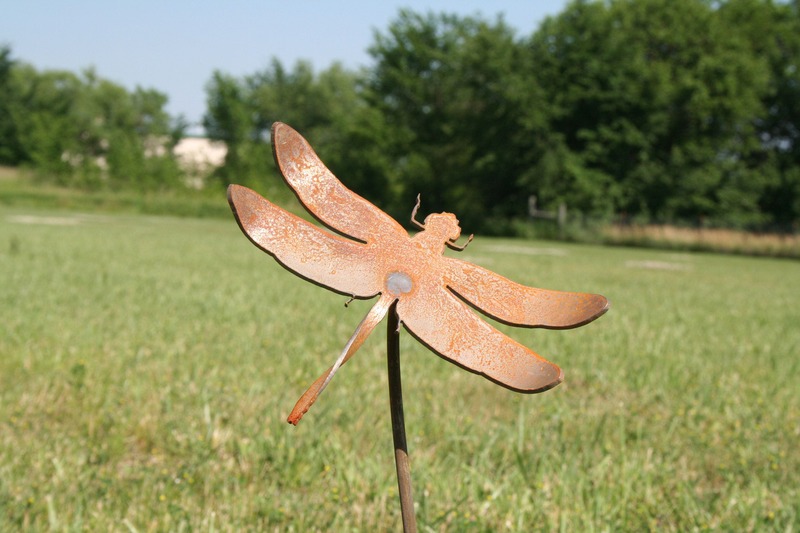 We love the updated dragonfly, and we hope you do too! All of our products are made by the 2 of us in our home shop -- 100% made in USA and made to last! Beautiful addition to my patio project!!! Ordered this for my mother's birthday. Ordered it later than I would've liked but the seller was able to get it here on time. Thanks! Looks great! Very well made and installed it in my garden immediately. Thank you.